You can feel your stress levels rising as your toddler clings to your leg, constantly repeating: mommy, mommy, mommy. No amount of counting to 4 will help you in this moment as you desperately try to recall the mantras of positive parenting. Your stress levels only increase as you eye the unwashed dishes in the sink or the toys strewn across the floor. Toys that you just finished picking up before your toddler decided that they were made of Velcro. And regardless of what society says, a glass of wine or a shot of tequila seems like a great idea. Even if it is early in the morning or late in the afternoon. Because you know that there’s still time before your spouse gets home. There’s still time for your toddler to make another epic mess if they ever detach from your leg. There’s still time for another epic tantrum. Almost every day, it seems, I question my parenting skills. Did I spend enough time with her, did we play outdoors enough, is she eating enough? Am I really making the most of being a stay at home mom? Am I really going to survive the next few years until she’s in school? Is there any book on positive parenting that will really help me overcome this? Do I need to rethink how I parent? It was after some searching on Google that I found something that aligns wonderfully with positive parenting. Compassionate Parenting provides a secure emotional base from which children carry out their genetic programs to explore and interact with their environments in safety and protection. At the same time, parents develop the protective, nurturing, and compassionate skills that empower them in all areas of life, including work and health. We simply function at our best when we have emotional connections with our children that are strong, flexible, and enjoyable. Compassion most definitely does not mean letting children get away with bad or selfish behavior. It does not mean that parents should go along with whatever children want. Nor does it mean overindulgence, generosity, or magnanimity. Compassionate parents are able to see beneath the surface of their children’s behavior to get at the deeper motivations. They empower children to control their own behavior by teaching them to regulate their motivations. 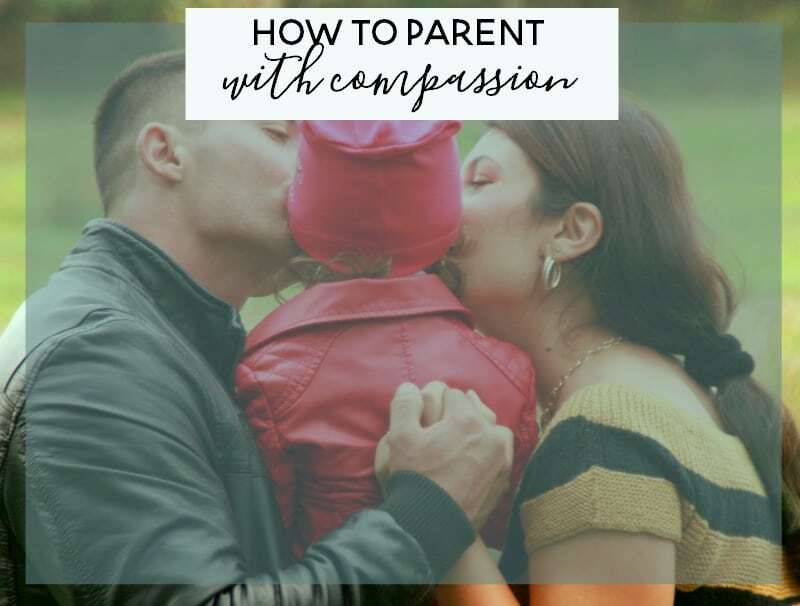 Compassionate Parenting is certainly not perfect parenting. The best parents in the world do not go a single day without making some error in what they do or say to their children. Fortunately, kids are extremely resilient when it comes to parental mistakes. A major tenet of the Compassionate Parenting program is that whatever parents say and do matters far less than their emotional motivation. Unless a child is deep into a destructive mode, almost anything a parent says or does in a positive mode will succeed. In fact, experiments show that children perceive even highly critical statements done with positive motivation as caring and encouraging. Regardless of what mode the child is in, almost nothing the parent says or does in the negative or destructive modes will work. Parents must not match the negative and destructive motivations of their children in kind. Doing so only reinforces them and teaches kids the dangerous lesson that the one with the most power to be negative and destructive wins. • Listen to your children. Research shows that children in all stages of development complain that their parents yell too much and listen too little. • As much as possible, let solutions to problems come from the children. As they mature, your job is less to give answers and more and more to ask the questions that lead them to solutions. • Choose toys that have something beneath the surface to help deepen their interest. Young children cannot sustain interest for long, but they can develop a beginning awareness that interest works better when it runs deeper than the surface. • Understand that change stimulates emotion. You and your children will have emotional response to change, regardless of the content. • Take care to respond to positive emotions as well as negative. Otherwise, you set up the habit of using trouble to get attention. Compassionate attention to expressions of interest and enjoyment are opportunities to develop positive emotional response in children and adults. • Express affection to your children and to other adults in the family. Like all human beings, children need discipline to help them function at their best. They actually want discipline. Children who receive little discipline tend to feel unloved, isolated, and unprotected. Many adolescents from undisciplined homes lie to their peers and make up limits that they attribute to neglectful parents. Children view it as the job of parents to set limits and as their job to oppose them. Compassionate Parents set firm limits about important issues of safety, health, learning, education, and morality and encourage cooperation with the rest. Many discipline problems rise from some physical discomfort, such as hunger or sleep deprivation. Take care that the child’s physical needs and your own are met. Emotional discomfort caused by nervous energy, anxiety, and disappointment accounts for most the rest. Of course, discipline that increases anxiety, such as yelling or shaming, will only make emotional discomfort worse and produce more of the undesired behavior, at least in the long run. • Discipline must be implemented with positive parental motivation to protect, nurture, encourage, influence, guide, or cooperate. • Discipline is a long-term project. Except around safety issues, discipline is never for a single behavior. Rather, it is to give direction for a stream of behaviors over time. • Stress safety, health, learning, education, and morality as goals that produce pride and empowerment. • Whenever possible, point out how the long-term best interests of the child are served by cooperation. • Focus on what you want, not what you don’t want. Give short, clear instructions. Don’t yell. • Keep the focus on the behavior, not your emotional state. Never discipline in anger. • Ask questions whenever possible to help children come up with their own motivation to cooperate. The regulation for behavior must be established in the child, not in you as policeman. • Help children to understand that their behavior is a choice. They always have the power to choose better behavior. • Help children think through the consequences of their behavior choices, especially the response that their behavior invokes in other people. 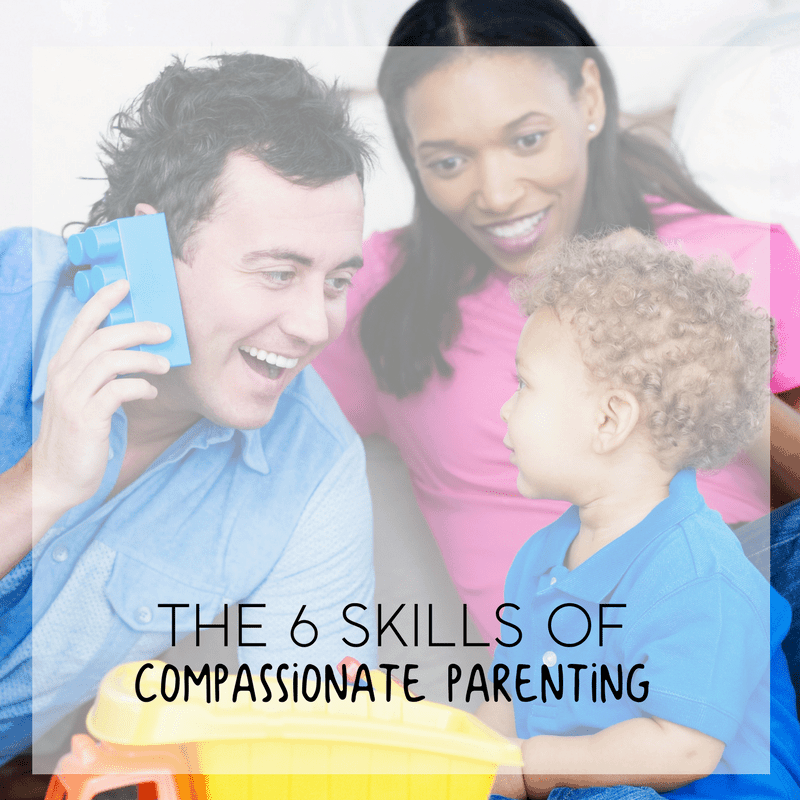 Is Compassionate Parenting For You? 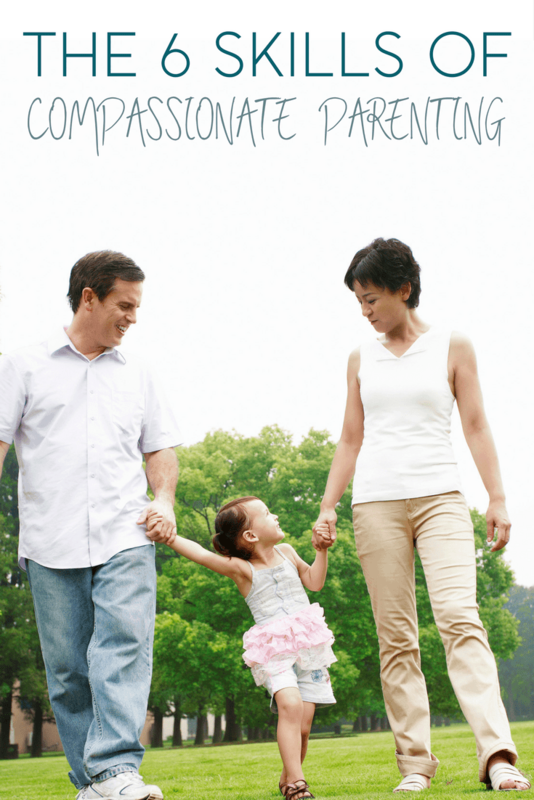 All parents have different parenting styles. This is based on how we grew up and from what we see or read elsewhere. You may follow some of the tenants and beliefs of Compassionate Parenting or you may eventually decide that it’s not for your family. You need to do what will work for you and for your family.